New Study Reveals Sugar Doesn’t Just Feed Cancer, It Create Cancer - ShareIt! Researchers from the universities in Belgium conducted a nine-year experiment that was published in the journal Nature Communications. This study revealed how sugar stimulates the growth of tumors. This is something we need to touch on so that I can go over the producing aspect. Healthy cells receive energy through something known as aerobic respiration. This is a process that transforms digested food into energy molecules. 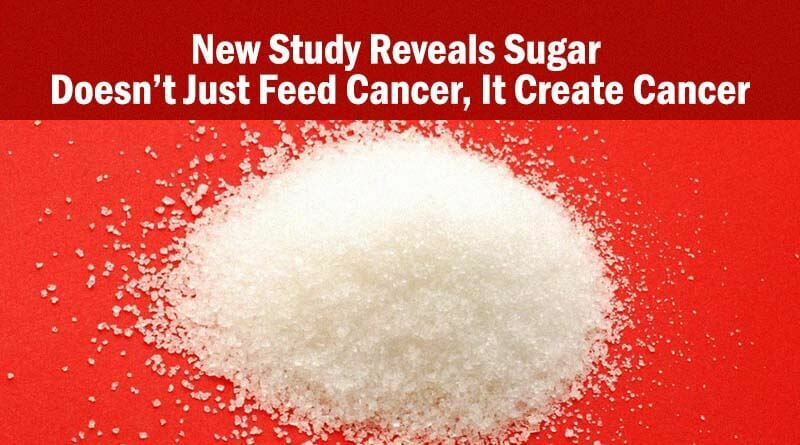 For those who do not know cancer cells get energy from fermenting sugar. For this study, these researchers examined the correlation between the strength of what is known as the Warburg effect and tumor aggressiveness. In order to do this, they observed the sugar fermentation of yeast. This because they both share the unusual characteristic of favoring fermentation of sugar over respiration. During the study, scientists were able to not only confirm that sugar causes cancer tumors to grow, but that also makes cells multiply quicker. This led them to believe that sugar produces more of the most common cancer-causing genes. Those genes for people who do not know are called Ras proteins. They fuel aggressive tumors. This study was able to clarify the link between metabolic deviation and oncogenic potency in cancerous cells. This research has actually led to a new and extremely valuable scientific hypothesis. Researchers claim the next step is to be sure these results apply to patients as well, clinical trials will need to be developed at this point and more research will have to be done. It seems adjusted diets may benefit those who have cancer to an extent most people would have never guessed. Now, this study was important to go over as another study from the journal of Clinic Investigation analyzed the results of increased sugar uptake and oncogenesis as well. Their results showed that increased glucose had a direct and positive correlation to cancer production in general, especially in the early phases of cell production. Cancer cells uptake sugar at least ten times the rate of healthy cells. Nobel Laureate in medicine, German Otto Warburg actually developed a hypothesis in regards to this year ago. His hypothesis was that cancer cells had a different energy metabolism compared to healthy cells. This goes hand in hand with the idea that increased glucose metabolism activates pathways involved in oncogenesis. You can learn more about these connections in the video below. These things are very important to know. One of the primary reasons why we eat sugar and carbohydrate rich diets is because they are addictive. Within minutes of consuming sugar/carbs our body goes through a neuroendocrine roller coaster. Your brain can not survive very long without glucose, the fundamental energy unit of the cell, and will ‘freak out’ if deprived of a steady stream of this ‘nutrient’ within only 2-3 minutes. The endocrine system, on the other hand, perceives the danger of high sugar – namely, glycation associated damage to protein and lipid structures within the cells of our body; think: blood caramelizing, getting sticky, and gumming up the finely tuned works – and will release hormones such as insulin, adrenaline and cortisol, in order to try to get the elevated sugar in the blood and tissues under control. Insulin forces the sugar into storage within the cell, both as glycogen and as fat, but often does its job too well, causing available glucose levels in the brain to be depleted – setting off a vicious cycle of ’emergency signals’ telling the body to release more cortisol and adrenaline to increase the levels of glucose in the blood. This, of course, will result in additional insulin production and release, causing the same cycle to be repeated over and over again.